On 21 November, 2018, Prof. Bożena Werner, Dean of English Division medical program at Medical University of Warsaw hosted His Royal Highness, Crown Prince of Perlis Malaysia, Tuanku Syed Faizuddin Putra Jamalullail on behalf of HM Prof. Mirosław Wielgoś, Rector of Medical University of Warsaw. 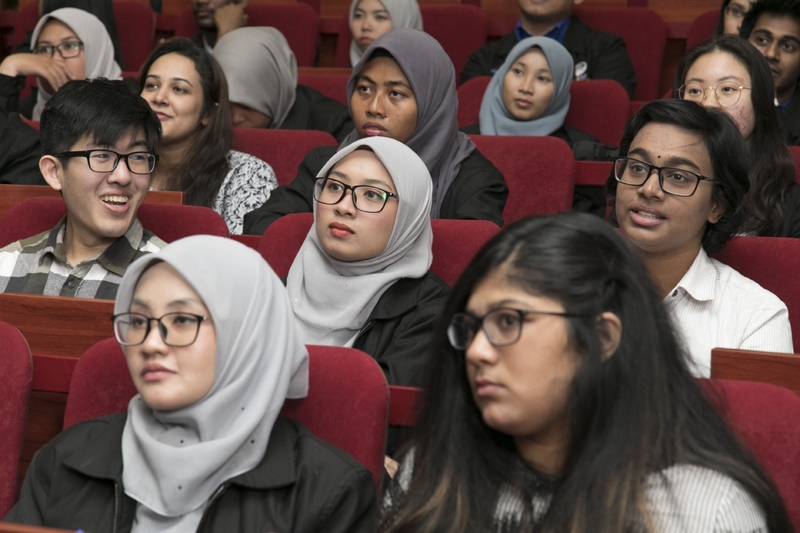 His Royal Highness came to meet with Malaysian students enrolled in the English Division medical program. 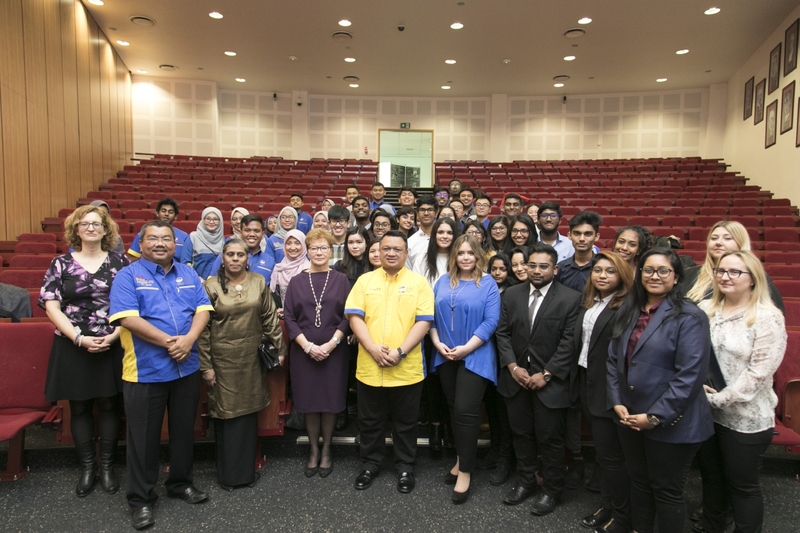 Accompanying His Royal Highness was his daughter, Her Highness, Sharifah Farah Adriana Binti Tuanku Syed Faizuddin Putra and an official delegation from University of Malaysia Perlis and 32 student representatives who are on an educational tour in Europe. HM Rector Wielgoś welcomed His Royal Highness in a letter delivered by Dean Werner. 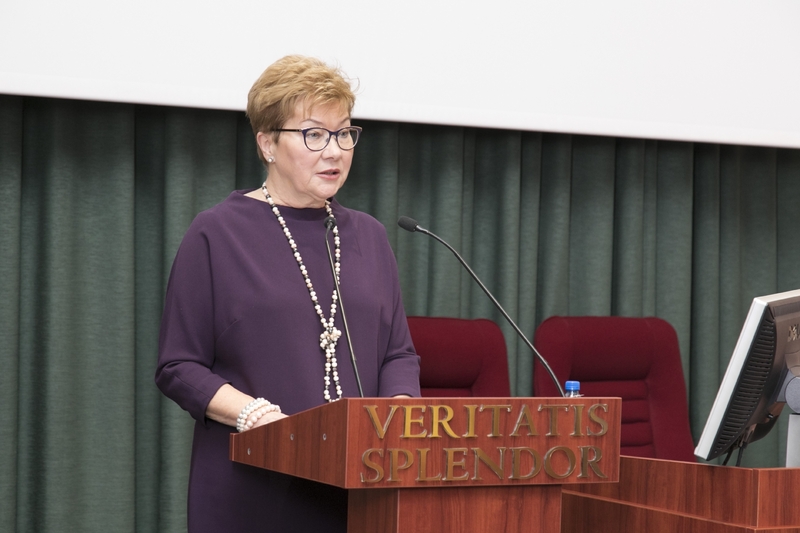 In his letter, HM Rector Wielgoś described some of Medical University of Warsaw’s most recent achievements in medicine and expressed hope in finding common research interests for cooperation. 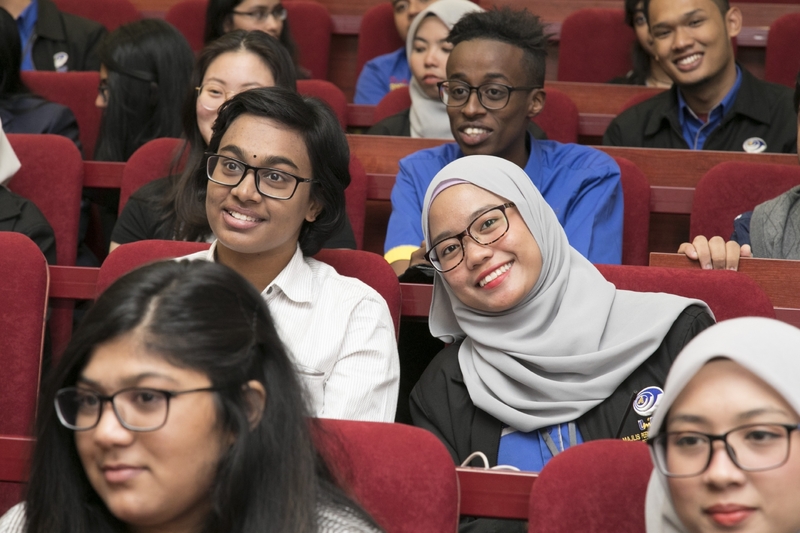 The President of the English Division Student Government (EDSG), Elwira Bukowiecka, added that Malaysian students not only study hard but are also involved in student life. 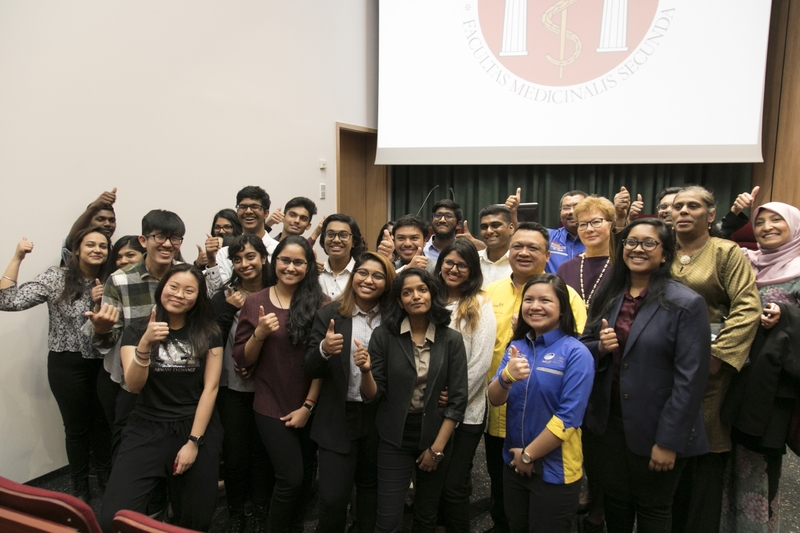 Jannush Nathan (4th year medical student) is Secretary of EDSG; Shasmeeta Dhevyia is Social Media coordinator; and, another Malaysian student is Treasurer. 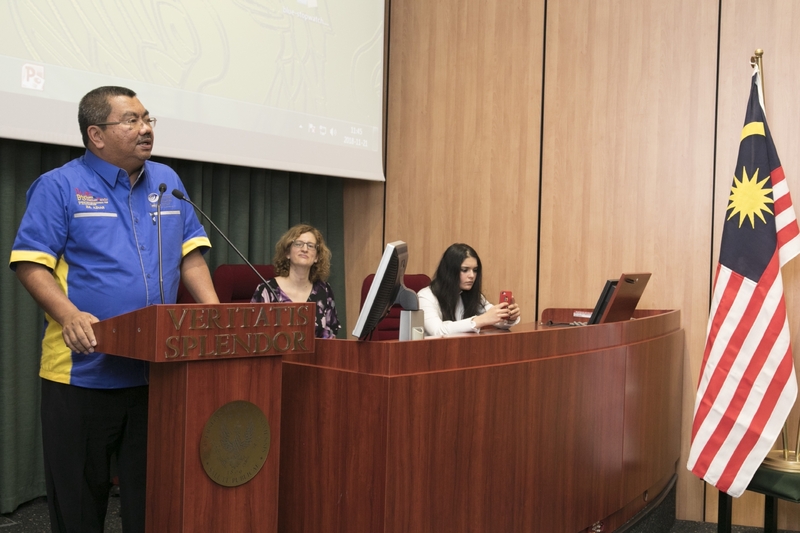 The Dean of English Division also talked about how the Mara scholarship program, sponsored by the Government of Malaysia, helped draw many students to the Medical University of Warsaw. “In 2011, Malaysian students constituted the majority of our student body”, said Dean Werner. 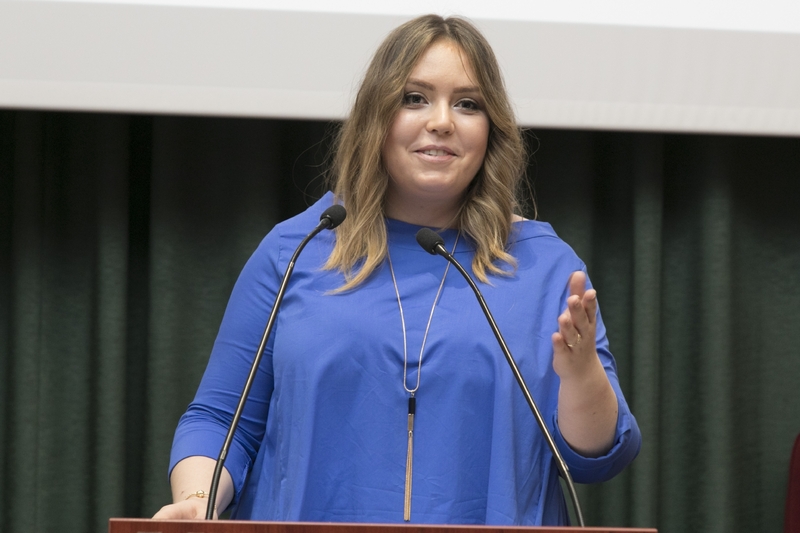 “There were 94 medical students from Malaysia, followed by students from Norway, then Sweden, Saudi Arabia, Canada and USA.” She continued to explain that “the overall number of foreign students in our English Division medical program has doubled since 2011, but the number of students from Malaysia has dropped.” The Dean expressed hope that His Royal Highness would help change this situation to the benefit of Malaysian students who, upon graduating with a medical degree from Medical University of Warsaw, can return to their native country to practice medicine without problems because our University is one of only three medical universities in Poland accredited by the Malaysian Medical Council. 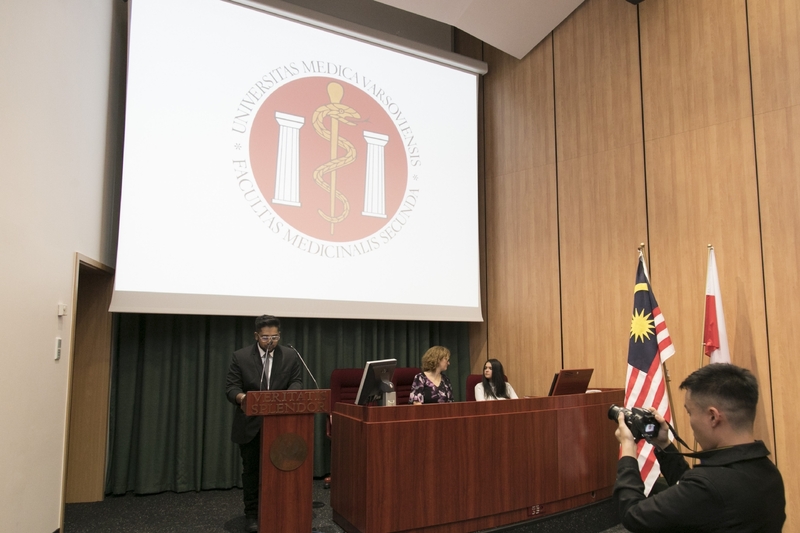 Prof. Werner also addressed Her Excellency, Chitra Devi Ramiah, Ambassador of Malaysia to Poland, thanking her and her predecessors for their ongoing support and excellent relations with Medical University of Warsaw. The visit of His Royal Highness was, amongst others, organized in collaboration with the Embassy of Malaysia in Warsaw. At the end of her speech, Dean Werner presented His Royal Highness with a gift from HM Rector Wielgoś. 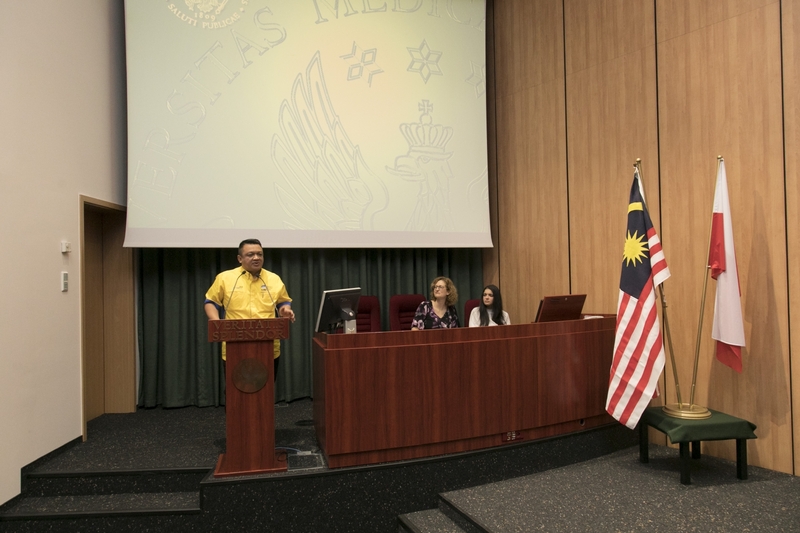 Next, the audience learned about the University of Malaysia Perlis from The Honorable Vice-Chancellor and some facts about the State of Perlis from His Royal Highness. 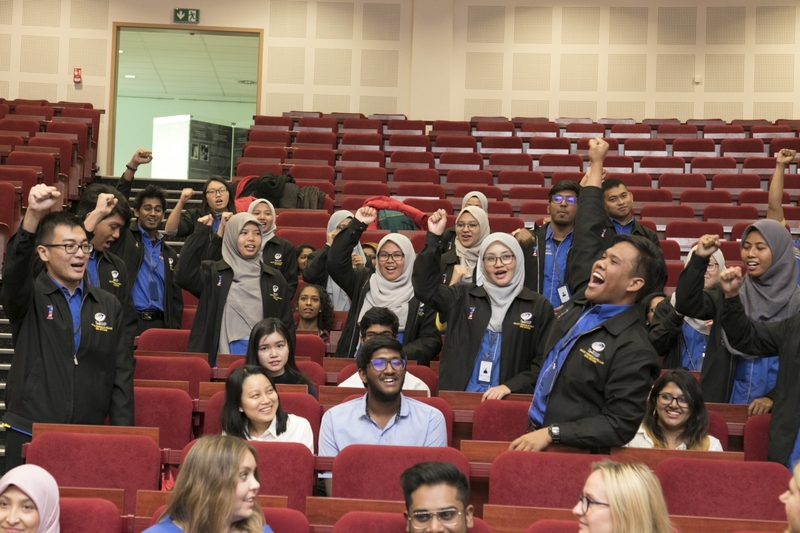 To everyone’s surprise but great joy, the students from University of Malaysia Perlis broke out into song and dance! Their happiness and enthusiasm was contagious and got everyone in the auditorium dancing and singing along! There is no doubt that the visit of His Royal Highness of Perlis Malaysia to our University will remain dear in our hearts and memory.